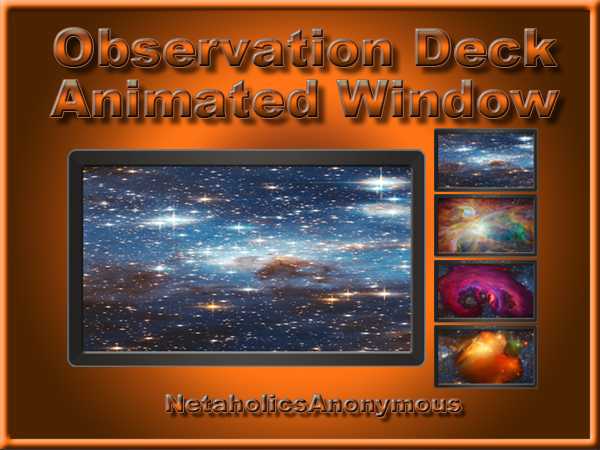 There are three sizes included, each will fit to the Observation Deck Walls screen resolutions of 1920x1200, 1600x1200, 1440x900 and should overlap the center "window" of each wall. Click on the frame to toggle the animation. Nice idea Dude! I'll give 'em a go! Thanks! Thank you for your kind comment, and thank you for ALL of your great scripts that we use.